Italian Grilled Burgers - seriously delicious burger! Bursting with flavor!!! 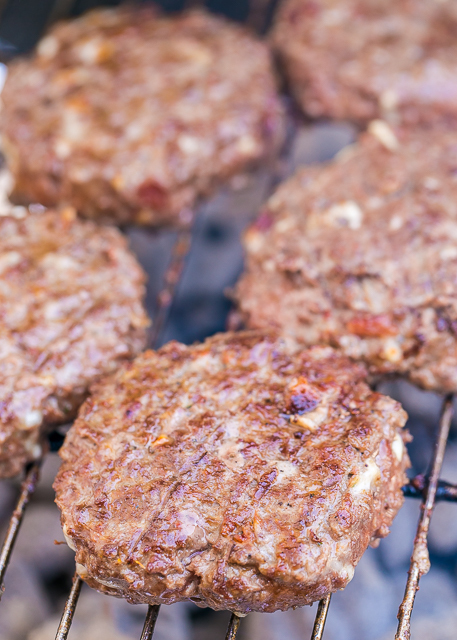 This makes a lot of burgers - great for a crowd and can freeze uncooked burgers for later. 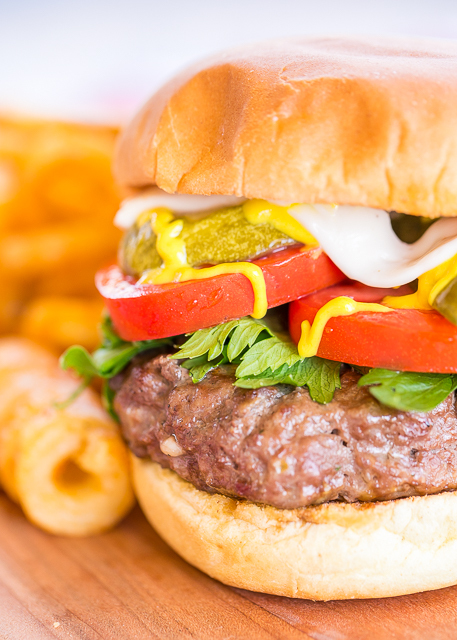 A great, quick and easy hamburger recipe!! We love to grill burgers. We use a charcoal grill, and it takes longer to fire up the grill than it does to cook the burgers. We think it is totally worth it! We love the flavor the smoky charcoal gives the burgers. Just don't use lighter fluid! Use a charcoal chimney to start the grill. If you are using lighter fluid, go to Home Depot and get a charcoal chimney. I promise you won't regret it! These burgers were really, really good. They are seasoned with a packet of Italian dressing mix and some mozzarella cheese. This recipe makes a lot of burgers. We like to make the whole batch and freeze some of the hamburger patties for later. 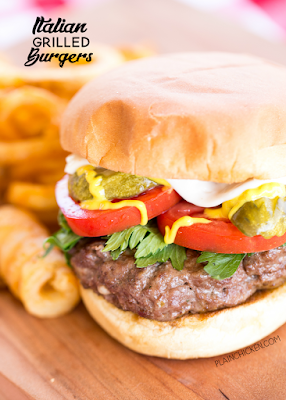 It is great to be able to pull some burgers out for an easy weeknight dinner!! In a large bowl, combine all ingredients except hamburger buns. Grill to desired doneness. Serve on hamburger buns.